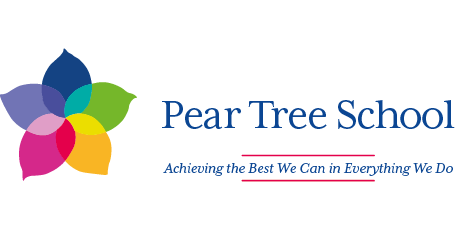 Pear Tree Holiday Club offers the highest quality of care and provision for children aged between 3 years and 16 years during the school holidays; we were judged to be outstanding at our most recent Ofsted in November 2016. Our Holiday Club is quite unique in that it provides fully inclusive childcare in school holidays for children with severe learning difficulties/SEN/complex medical needs as well as mainstream children fro the local community. The club is based here a Pear Tree School and is open for 8.5 weeks a year. We are open for 1 week at October half term, February half term, and may half term, the Easter holidays and 3.5 weeks of the summer holidays. Our club plans and organises a variety of activities, dependent upon age group. Our lower holiday club (for children 3-7 years) follows the EYFS curriculum and activities are planned and delivered using this model.In addition to continuous provision, children will access focused, adult directed activities, swim in our pool daily and access additional activities that we provide across the setting e.g. specialist sport coaching, entertainers and specific one off activities such as Mad Science. Our upper holiday club offers more age appropriate activities including swimming, arts and crafts, cooking/baking, WII and Xbox, air hockey, pool table, board games, outdoor activities and AFC Fylde sporting activities to name but a few. For all children, the cost for a full day is £25.00 or £12.50 for a half day. For two or more siblings attending the club, the cost is £24.00 per child per full day or £12.00 per child per half day. For more information or to book a place at our holiday club, please contact Hilary in our school office on 01772 683609. What Parents/Carers say about us…. What Ofsted say about us….